Silver Lining to the Economic Dark Cloud - Estate Planning Opportunities in a Down Market - Ward and Smith, P.A. There is no way around it - the market has slumped, the economy is slow, and it hurts to turn on CNBC. Some investors have responded to these difficult financial times by adding their brokers to their cellular "circle of friends" (although the conversations have been anything but friendly). Others have committed their portion of the economic stimulus package to cases of Pepto Bismol. Investors simply haven't had much fun lately. 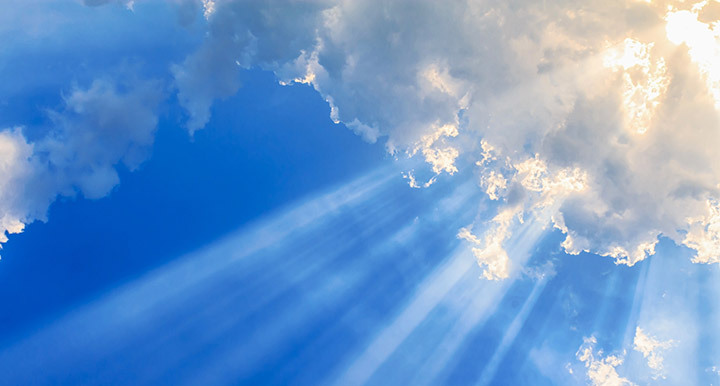 Savvy investors, however, know that every economic cloud has a silver lining, and they have found it. Committed to the principle that the economy will improve (as it inevitably will), they employ a unique estate planning technique perfectly suited for today's circumstances in order to transfer significant wealth to the next generation at a minimal estate and gift tax cost - the grantor annuity trust ("GRAT"). A GRAT is a special kind of irrevocable trust. The person who creates and funds the GRAT - the "grantor" - retains the right to an annuity payment from the trust for a period of years. At the end of the annuity period, the trust terminates, and any remaining trust assets are distributed to other beneficiaries chosen by the grantor (for example, the grantor's children). The remaining assets thereby are removed from the grantor's taxable estate and the potential estate tax burden is decreased. When a grantor gratuitously transfers assets, the transfer typically triggers gift tax liability based on the total value of the assets transferred. In the case of a GRAT, however, only the value of the remainder interest is considered a gift because the grantor retains the right to an annual annuity payment. Because there is no precise way to assess the value of the remainder interest at the beginning of the trust term, the government simply assigns a present value to the remainder interest based on interest rates in effect at the time of transfer. If the trust assets outperform that interest rate over the term of the GRAT, there is a windfall to the beneficiaries of the trust - the remainder will consist of more assets than the amount on which gift taxes were paid. Today's economic climate makes the GRAT a particularly attractive option. Interest rates are near historic lows, and the market is depressed. Assuming that the market rebounds strongly, the growth of the assets in a GRAT easily should outpace the interest rate. The transfer of wealth for little or no tax cost can be a significant estate planning opportunity. As indicated above, the remainder interest of a GRAT consists of the remaining trust assets after the annuity period ends. By setting the annuity payment at a sufficiently high level, the remainder interest is assumed to have no value for gift tax purposes. This arrangement is called a "zeroed-out" GRAT, and there is no gift tax consequence to funding this trust. Therefore, if the assets in the zeroed-out GRAT appreciate in value beyond the amount necessary to produce the retained annuity payments, the value of the trust remaining at the end of the term of the trust will pass to the designated beneficiaries at no gift or estate tax cost. A zeroed-out GRAT is especially appropriate for someone who already has exhausted his or her lifetime gift tax credits and who already is maximizing annual exclusion gifts. The following chart illustrates the effects of a ten-year zeroed-out GRAT. The chart assumes a discount rate of 2.40% (which was the applicable rate for January 2017), an asset income rate of 3%, and an asset growth rate of 6%. As can be seen, the combination of a low discount rate and a relatively high appreciation rate produces a tax-free transfer to the beneficiaries of $652,588.87. Depending upon the size of the grantor's estate, this may produce estate tax savings in excess of $350,000. ﻿Are there Risks to a GRAT? There is little downside risk to a GRAT. If the grantor dies before the expiration of the GRAT term, the remaining assets in the trust will be included in the grantor's taxable estate, just as would have been the case had the grantor continued to hold the assets in the grantor's name outright, with an appropriate credit being given for any gift tax paid when the trust was created. Often, GRATs are created with short terms to reduce the risk that the desired tax results will be lost through a premature death. Similarly, if the trust assets decline in value so that there is nothing remaining in the trust at the expiration of the grantor's annuity payments, the grantor with a zeroed-out GRAT is returned to the same position as before the creation of the GRAT, with no tax costs having been incurred. In both of those cases, the grantor's loss is limited to the out-of-pocket costs associated with establishing the GRAT. Savvy investors will not be victims of the down market. Instead, they will identify ways, such as the GRAT, to take advantage of the current economic conditions and transfer wealth to their families in a tax efficient manner.